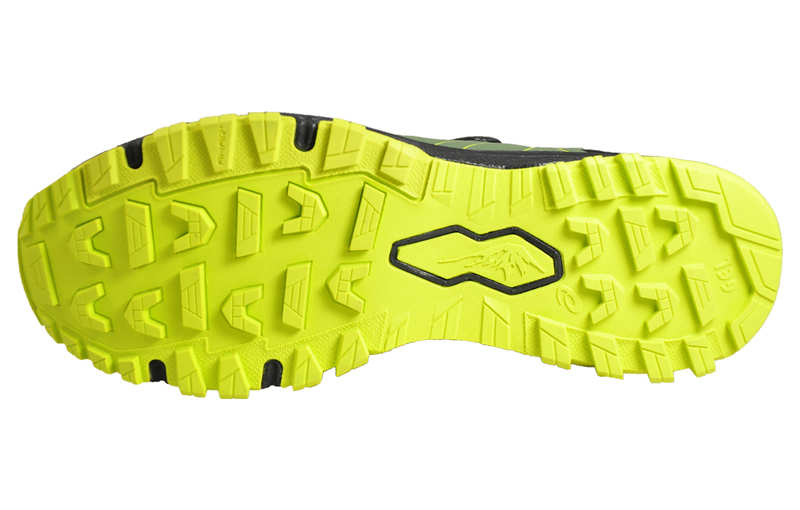 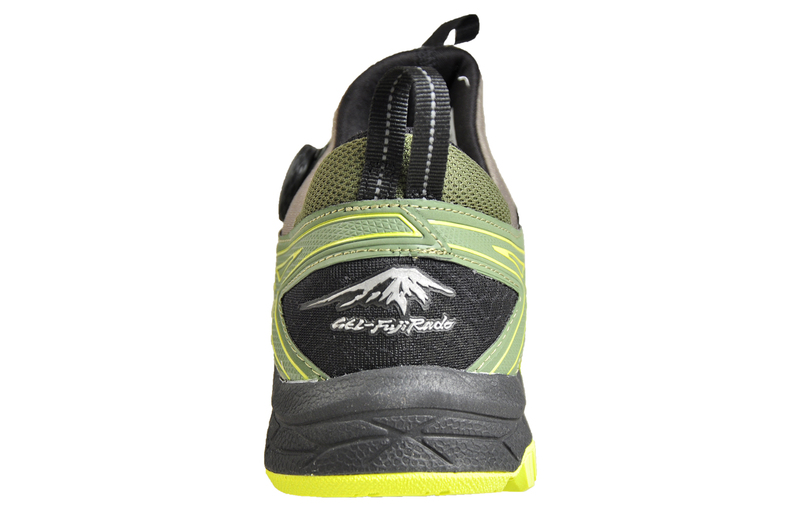 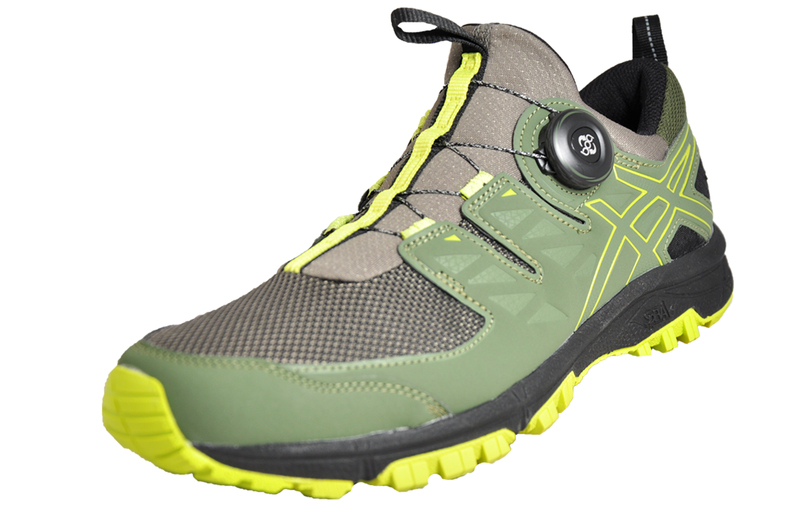 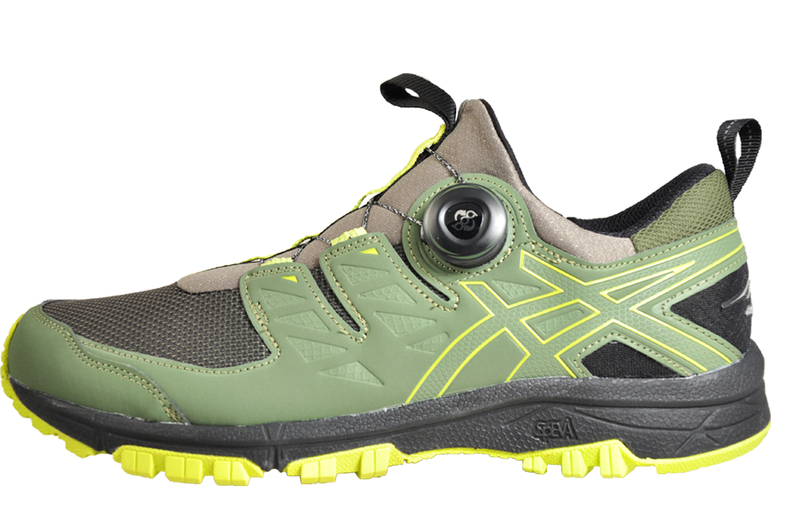 Exceptional traction and durability over the trails! 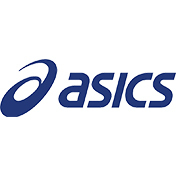 The Asics Gel-FujiRado is a tough shoe designed for tough trails, with a host of features to help you reach optimum performance. 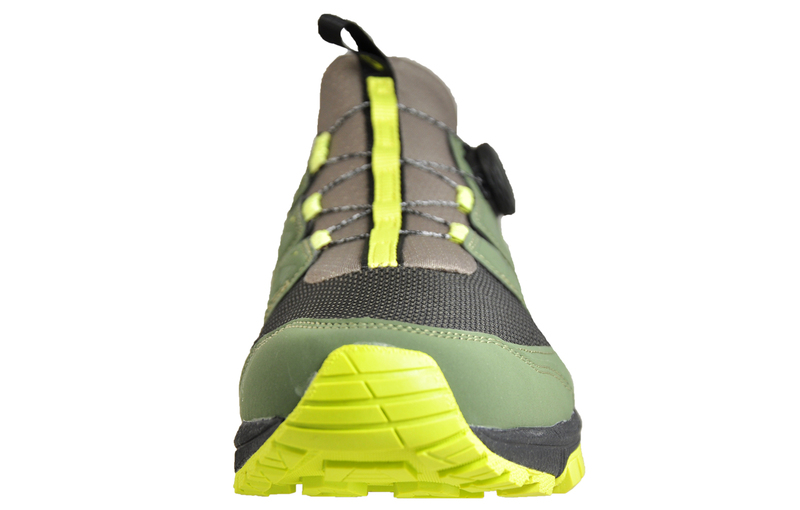 Get the support you need with harder-density sloped SpEVA technology on both sides – ideal for stability when running downhill or on uneven ground, and stay comfortable throughout wear thanks to the Boa fit system delivering a secure locked down fit every time.